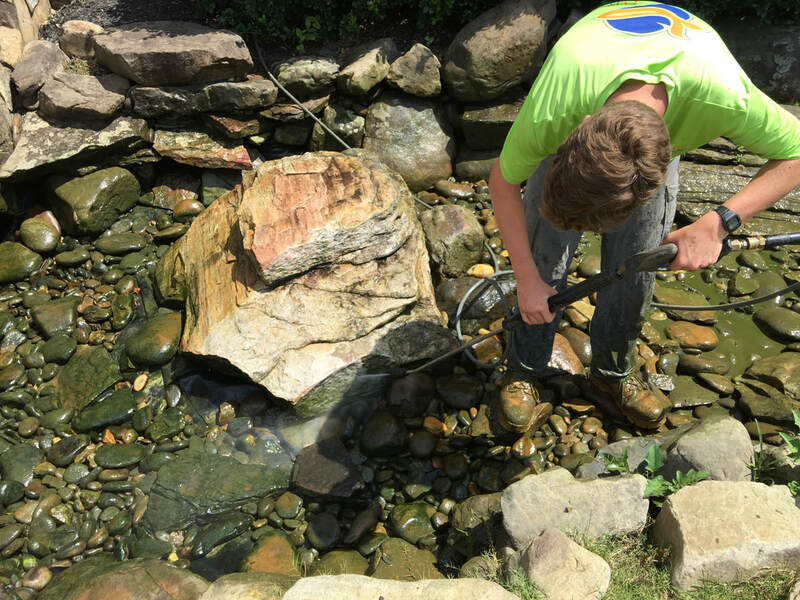 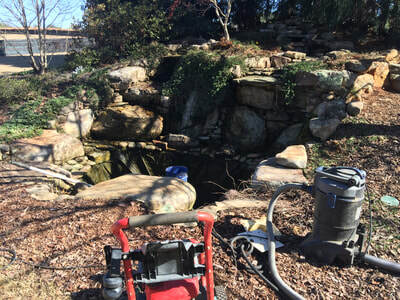 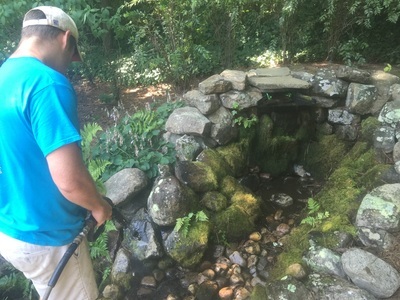 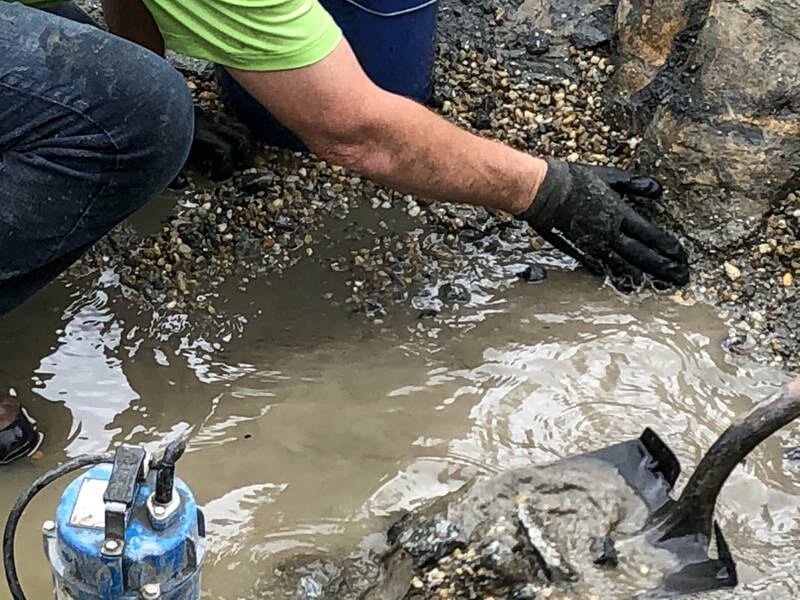 Koi pond and waterfall cleaning in Johns creek GA.
Spring is just around the corner and before you know it you will be outside enjoying the warmer weather and your beautiful backyard water garden again. We recommend that your water garden receive a full professional cleaning at least once, on occasion twice per year to help maintain beauty and function. Having your pond cleaned annually reduces your regular maintenance, reduces the likelihood of algae issues and equipment problems this upcoming season. We starting cleaning ponds at the beginning of March, so sign up today to save your spot on our schedule. 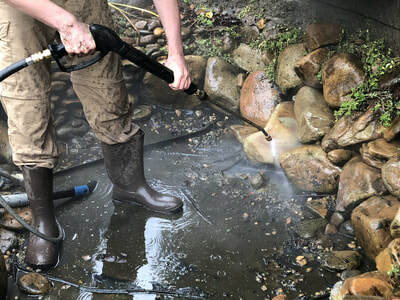 What is involved in a cleaning? 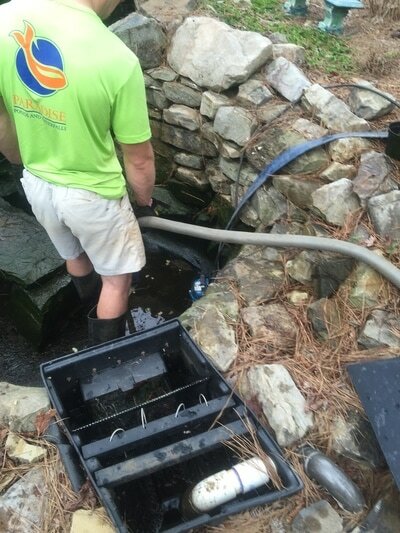 First we will drain your water garden and carefully remove any fish you have to a fish holding tank that we will bring along. 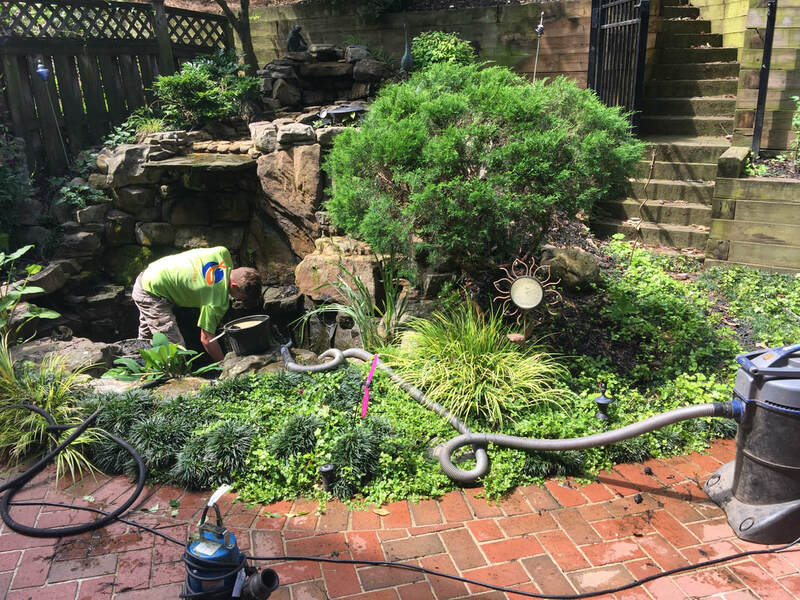 The next step is to remove debris, leaves and muck. We then give the koi pond a pressure washing and rinse. 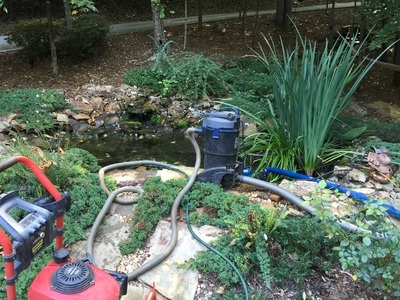 Once washed down, we use a special pond vacuum to clean and flush the pond out. Then we will trim back plants, re-adjust rocks & gravel, clean filter pads and inspect the pond pump. 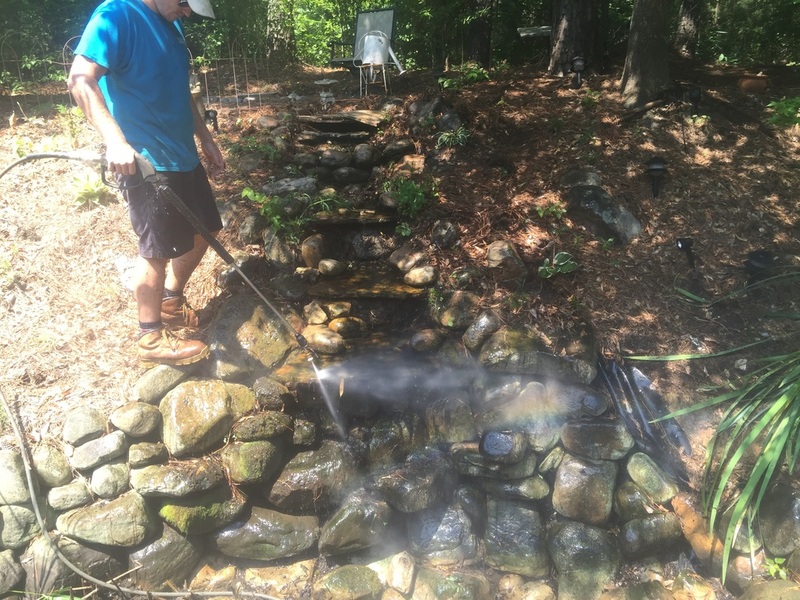 When all of this is finished, we will begin refilling the water and add water conditioner and beneficial pond bacteria. 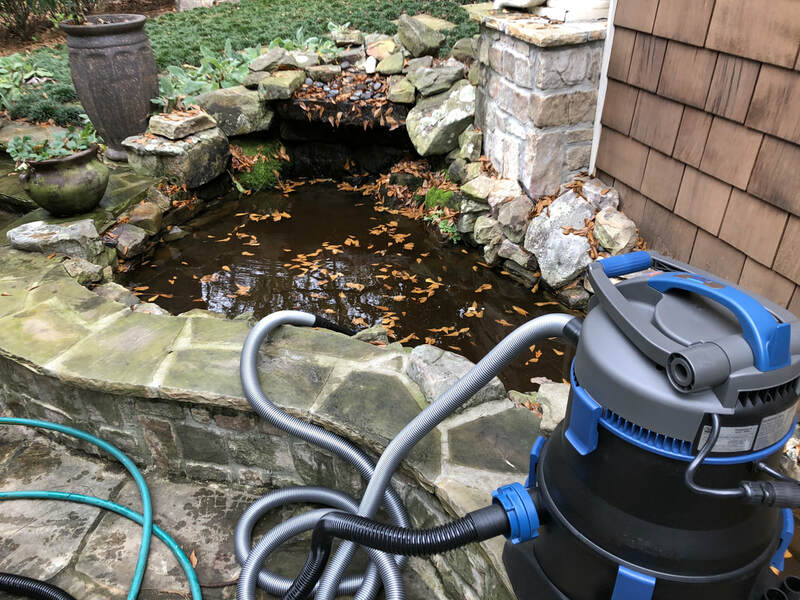 If your water garden includes a pond with fish, upon finishing your clean out we will refill the pond with enough water are carefully place your pond fish back into the water. 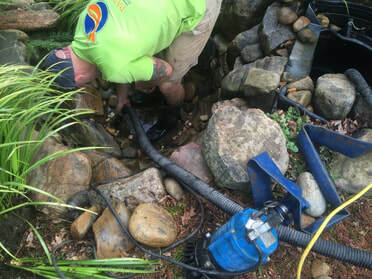 During a spring pond cleaning is a perfect time to have any underwater lights replaced that are not working while the pond is drained. We offer long lasting LED underwater lights for your pond, stream and waterfalls. Water Garden Cleaning Sign Up - Let's get you onto the schedule this Spring!